This page provides the club rules which members are required to accept when joining the club. These are enforced to ensure all members can enjoy our facilities. Please remember, we are a members’ club and all playing guests incur a fee of $6.00 or $2.00 If they are a members of one of the other clubs in Hawke’s Bay – HBLT, Hastings or HBSC – and can prove this, if required. 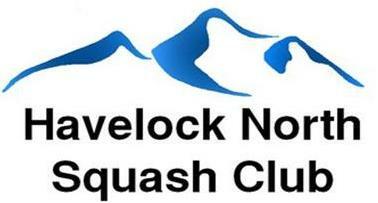 1.1 The Havelock North Squash Club (The Club) is an incorporated society within the meaning of the Incorporated Societies Act 1908 including any amendment, replacement or consolidation of that statute. 1.2 Within these rules The Club means this Society under whatever name. 1.3 The Constitution of the Club sets out the Objects of the Club, Membership structures, General Meeting requirements and other matters relating to the running of the Club, which provisions may be altered at any General Meeting. 1.4 The Constitution empowers the General Committee duly elected at the AGM the entire management and control of The Club’s affairs. 1.5 The club cannot accept responsibility for the safety of any individual whilst on club property. It is the responsibility of each member to ensure before participating or entering the Squash courts or clubhouse that they are covered with the appropriate insurance. 1.6 The Constitution also empowers The Committee to make rules for the well being of the Club and the following Rules are made for this purpose. 2.1 Within the meaning of these Rules, Membership or Member of The Club is any person, body or corporate who has paid in whole or in part their dues in response to any offer duly made by The Club for use of The Club’s facilities. 2.2 Admission to Membership of the Club shall at all times be at the entire discretion of the Committee. 2.3 Rights and obligations attached to Membership classes shall be as those last set out at the AGM as determined by The Committee. 3.1 Members shall pay their subscription by the due date, if you do not pay your subscription on or before the due date your door code and online booking rights will be suspended. 3.2 The Committee shall have the power to bar entry to any Member to The Club’s facilities, whose subscriptions or other debts remain unpaid. 4.1 The Club may appoint from time to time a person as Club Administrator/Manager, who has responsibilities for the day to day running of The Club. 4.2 Any person so appointed is charged with authority to direct Members in respect of Membership issues or other matters affecting the use of The Club’s facilities. 4.3 Any person so appointed reports to The Committee (through The President of The Club) and has powers limited to implementing the directions of The Committee. 5.1 All Members are required to use The Club’s property in a manner consistent with the purpose for which it is intended. Specific alternatives uses of the squash court areas may be allowed but the Committee’s prior approval must be obtained. 5.2 Footwear used on the squash courts shall at all times be suitable sports wear with non-marking soles. Your Squash Shoes are not to worn outside of the building this is to avoid you bring dirt and stones onto the court. 5.3 Online Court bookings are limited to 45 minutes. If you are unable to make your court booking time please login and cancel the booking so the court is made available to other members. 5.4 Late Arrival on Court. A court not in use 10 minutes after the booked starting time is free for use by any member. A court becomes immediately free for use at the end of the booked finishing time. 5.5 Inside the club premises and the Club Deck are designated as a non-smoking areas. 5.6 Members must ensure that the club is secured and lights are turned off when they leave the building if nobody else is on site. 5.7 Any willful damage or misuse of The Club’s premises or property caused by any Member shall be the responsibility of that Member. The Member responsible for such damage shall be notified of the damage caused and requested to immediately make good. Failing immediate rectification by the Member responsible, The Club may elect to rectify any damage so caused at their own cost and all such costs incurred shall become a debt due and owing to The Club from the Members responsible. 6.1 The Club is established for the use and convenience of all of it’s Members and all Members are expected to behave in a manner that does not cause a nuisance to other Members who may wish to legitimately use the facilities. 6.2 Members are expected to shower and change before using the lounge area. 6.3 Members who behave in a manner that cause nuisance to other Members will be advised and asked to modify their behaviour. Constant refusal by a Member to modify their behaviour may be grounds for suspension in terms of clause 6.4 below. 6.4 The Committee shall have power to suspend, after a resolution tabled and passed at a Committee meeting, to expel any Member found guilty of misconduct or any other action or omission which The Committee considers may bring The Club into disrepute. Such Member shall be entitled to have notice of The Committee meeting at which the Member’s suspension or expulsion is to be considered and the Member shall be allowed to offer an explanation of the Members alleged misconduct. 6.5 Notwithstanding clause 6.4 above, Theft of Club property or willful damage to Club property shall be grounds for the instant suspension of a Member. The invoking of this power shall be at the total discretion of The Committee. © Havelock North Squash, 2019.